L. J. Panas earned both his Bachelor's and Master's degrees in sociology from our department. After completing our M.A. program in 2010, he was admitted to the doctoral program in the Population Health Sciences program at the University of Texas Medical Branch in Galveston. He has completed all of his doctoral coursework, as well as his qualifying exams. His poster presentation, "Mortality Difference for Hispanics and Non-Hispanic Whites Living in Five Southwestern States" won Best Poster Presentation in Public Health at the National Student Research forum in 2013. He also was the lead author on a paper, "Physical Performance and Short-Term Mortality in Very Old Mexican Americans," which has been accepted for publication in the journal Experimental Aging Research. With B.A.s in Sociology and Spanish from the University of Southern Mississippi and an interest in social psychology, Kelli Pribanic arrived at UW in 2005 ready to research cultural and social variations in mental health, particularly in Latin America. She traveled to Guatemala in the summer of 2006 to conduct research on traumatic stress in post-war Guatemala. However, her interests soon rerouted to her native MississippiGulfCoast, which was in its first year of recovery from Hurricane Katrina. She acquired data from a crisis counseling organization named Mississippi Project Recovery, which was delivering free post-Katrina mental healthcare to Mississippi residents. She wrote her master's thesis on mental health disparities in post-disaster distress, as well as social inequities in access to mental healthcare and disaster recovery resources. After working for the Wyoming School-University Partnership non-profit organization, Kelli returned to Mississippi in 2008 to work with a non-profit directly involved in Katrina recovery. As Coordinator for the Gulf Coast Fair Housing Center's Education & Outreach and Hurricane Relief Programs, she served as an educator and advocate for fair housing rights. She performed intake and referral for GulfCoast residents in need of housing and other post-Katrina resources, tested for discriminatory rental practices, expanded the center's outreach to the growing Hispanic community, and negotiated with mortgage lenders on behalf of homeowners in threat of foreclosure due to Hurricane Katrina and the 2009 housing crisis. She graduated from UW with her Masters' degree in the Fall, 2009. Kelli now works as an investigator with an international legal consulting firm based in Mississippi. In this role, she performs research related to asbestos litigation in personal injury suits. She currently lives in Moss Point, MS, but is eagerly plotting a return to the Rocky Mountain West. Kristen Rohde (BS UW '97) earned a Masters of Arts in Sociology with a minor in Statistics from UW in 1999. After graduating, she returned to her home town of Portland, Oregon and began a career in applied public health research and evaluation. For the past seven years, she has worked with Program Design and Evaluation Services (PDES), a unique research and evaluation unit within both the Multnomah County Health Department and Oregon Public Health Division. PDES provides ongoing evaluation support to county and state programs, initiates and conducts applied research studies, and contracts with organizations across the country to improve community health, shape public policy, and reduce health disparities. Specializing in the field of tobacco control, Kristen has collaborated on or managed projects to evaluate and inform state-level tobacco control programs in Oregon, Washington and Alaska. To date she has 12 publications in the scientific literature along with numerous research reports and presentations. Most notably, she was the project manager for a Robert Wood Johnson Foundation-funded study to examine biomarkers for smoking-related carcinogens among nonsmoking employees exposed to secondhand smoke while at work in Oregon bars. Results were published in the American Journal of Public Health and in the mainstream media (e.g., Time Magazine), and were used to advocate for policies to protect workers from secondhand smoke. Her interests outside of work are much the same as they were in Laramie--hiking, skiing and snowshoeing, but she now enjoys these activities alongside her husband, Chris, and their young daughter, Anna. Sandy Root-Elledge is the Associate Director of Programs and Program Development at the Wyoming Institute of Disabilities (WIND) in the College of Health Sciences at the University of Wyoming. She is a 2001 graduate with an M.A. from the University of Wyoming's Department of Sociology. In her current position, she oversees the development and implementation of programs that enhance the lives of individuals in Wyoming with disabilities. This work includes developing grant proposals, managing staff, developing and overseeing and collaborating with state agency administrators. J.D. Rottweiler earned a Masters of Arts in Sociology from UW in 1992. He later earned a Ph.D. from the University of Utah. His area of expertise is in cultural studies and social mobility. He has spent a significant amount of time in Japan and produced a documentary film, A 20th Century Matsuri: The Secularization of the Japanese Religious Festival. A teacher at heart, J.D. enjoys any opportunity to teach others the subtle meanings and influences of culture and social structure.& J.D. took on the role of Executive Vice President for Academic Services and Professor of Sociology at Central Wyoming College in 2002. As Executive Vice President, he directed all academic services of the college. He is very active in community and state initiatives. Also, he is a member of the Fremont County Good Samaritan Homeless Shelter Board of Directors and is on the Riverton Police Foundation Board. In 2006 he was recognized as one of Wyoming's "40 under 40" (forty individuals under the age of 40 who are making a difference in Wyoming. On March 2, 2009, the Governing Board of Cochise College in Southeastern Arizona appointed J.D. as their 11th president. We wish him the best in his new career! Aaron Roussell (M.A., UW '07) currently ponders Criminology, Law & Society at the University of California, Irvine, in the School of Social Ecology. The Richmond, VA native wandered into sociology at the College of William and Mary in Williamsburg, VA and has never fully recovered. 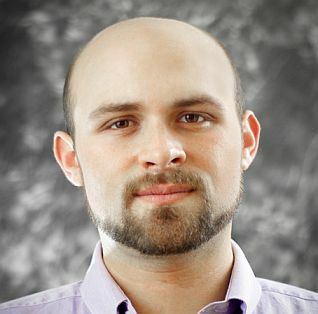 Aaron rambled to UW from Washington, DC where he coordinated research and grants with the US Department of Justice for the National Drug Court Institute. Although he continues in an applied policy research vein, he has written on social disorganization theory through the lens of rural methamphetamine use and is currently tinkering with dynamic structural correlates of violent and property crime across the rural-urban continuum. He is also returning to his urban roots, engaging in ethnographic field work in South Los Angeles around the issues of interracial violence and the constitution of power between police and residents. In Fall 2013, he joined the Department of Criminal Justice and Criminology at Washington State University as an Assistant Professor. Daniel Stuhlsatz received his Bachelor's Degree in Anthropology in 1973 from Wichita State University, Master's Degree in Sociology in 1988 from the University of Wyoming and Ph.D. in Sociology in 1998 from the University of Virginia. In between these three academic markers in his life, Daniel worked many jobs in many places, but only had two careers: one in carpentry and one in sociology. 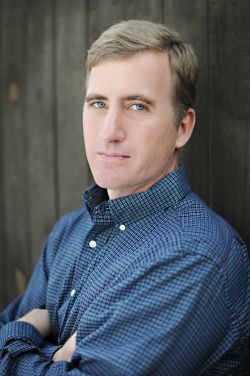 After receiving a doctorate, Daniel worked for a year on the research faculty at the Weldon Cooper Center for Public Service at the University of Virginia, and then moved on to a full-time teaching position at Mary Baldwin College in Staunton, Virginia. This is his tenth year at Mary Baldwin. Daniel's doctoral dissertation was in the Sociologies of Culture and Religion; the topic was cultural diversity and the legitimation of truth in the U.S. Roman Catholic Church. He supported himself while writing his dissertation by working as a Research Assistant at the Weldon Cooper Center, focusing on educational inequality. The latter interest persisted beyond graduation, and today his research is still in the Sociology of Education. A few years ago the college awarded Daniel tenure and promotion to Associate Professor. He is currently head of the Sociology and Social Work Department. Both Mary Baldwin and Staunton, Virginia, have been good to Daniel, his wife Sheila and son Sean. The community has even elected him to the School Board. If Daniel has any complaints it would be that the Virginia mountains do not extend above timberline, and so hiking and mountaineering, his passions, are just not the same as they were in Wyoming. After graduating with her MA in 2004, Annette Tezli returned to Berlin, Germany where she worked as an intern for Infratest dimap (TNS Infratest group), an institute specializing in electoral and political research. Subsequently, she interned at the Social Science Research Centre Berlin. In 2006, she moved to Canada to pursue a PhD in Sociology at the University of Calgary. Annette's dissertation research, which she successfully defended in November 2013, ethnographically explores the experience of sheltered homeless families living in one of Canada's economically most prosperous regions. Her research seeks to contextualize individual poverty experiences by delineating how a broad range of structural factors such as developments in the local housing market, economic changes and wage trends, social policies, governmental funding for homeless shelters and shelter organization interact with individual level challenges homeless families face and thereby produce instances of extreme poverty in an industrialized country. She now has a tenure-track Instructor position at the University of Calgary. Scotty Utz (M.A. UW '06) is the Research Associate for Princeton University's Princeton-Blairstown Center (PBC). After graduation, he moved east to serve as the Director of PBC's Blairstown Campus, a 275-acre outdoor education center that works primarily with underserved urban youth of the New York City/Philadelphia megalopolis. With his training at UW in research methodology and statistics alongside his work with the Wyoming Survey and Analysis Center (WYSAC), he quickly got pulled into the organization's evaluation efforts. In 2009, Scotty relinquished his responsibilities at the Blairstown Campus to focus on evaluating PBC's burgeoning in-school program that focused on teaching Social and Emotional Learning skills to students primarily in their urban context, rather than only working with them in the "wilderness." He continues to be interested in a broad range of efforts that strive to end social inequalities, particularly those aimed at reducing the achievement gap. His research on Social and Emotional Learning is helping PBC generate and evaluate experiential educational programming designed for regional groups of fiscally limited inner city young people. Bethany Kopsa Williamson (MA, 2013) is a Human Resource Coordinator at GROUND Engineering, which is based in Denver, Colorado. While she reports that “this is not at all where I saw myself going, now that I’m here, I love it.” She explains that the ‘people aspect’ of her work keeps it really interesting. “Going into human resources with a background in Sociology has been wonderful. Human Resources encompass so many different social aspects. Anytime you work closely with people, balancing both personal and work related issues that directly impact their lives and livelihood, you can expect to have an exciting career.” She also reports that her statistics background gave her important skills. She frequently collects data for her employer and uses statistics to identify and enhance the most important areas of the HR department. She encourages sociology majors to consider careers in HR. In any company or organization, human capital is crucial. She has come to love the ups and downs, daily challenges and interactions presented in the HR field! 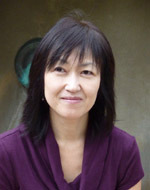 After earning a Masters in Sociology from UW, Akiko Yoshida entered the PhD program in Sociology at the University of Oklahoma. She was recognized as the Outstanding Graduate Student of the Year for the year 2008-09 by both the University of Oklahoma and the OU Sociology Department. She completed her doctoral degree in May 2010 and won the Provost’s PhD Dissertation Award in the Social Sciences, Education, and the Professions Division. We are very proud of her successes at OU! Akiko is now an Assistant Professor in the Department of Sociology, Anthropology, and Criminal Justice at the University of Wisconsin at Whitewater. She teaches introduction to sociology, as well as courses on family, demography, research methods, and contemporary Japanese society. Her general research interests are family, family demography, gender and sexuality, and the intersection of class, gender, race/ethnicity, and nationality. She utilizes both qualitative and quantitative methods, and has conducted research on increased singlehood among women in Japan, women who sell Mary Kay products, and various forms of father involvement. Akiko is currently working on a research project on single men in Japan while writing papers and a book manuscript based on her dissertation research, which was on singlehood in Japan. She is very active in terms of presenting her research at various conferences and is already a published author, having recently published a paper in Marriage and Family Review, and another paper “Women at Work: Tupperware, Passion Parties, and Beyond” in an edited book by Williams and Bemiller.